Authors: H. T. Diehl, E. Neilsen, R. Gruendl et al. The Dark Energy Survey (DES) is an operating optical survey aimed at understanding the accelerating expansion of the universe using four complementary methods: weak gravitational lensing, galaxy cluster counts, baryon acoustic oscillations, and Type Ia supernovae. To perform the 5000 sq-degree wide field and 30 sq-degree supernova surveys, the DES Collaboration built the Dark Energy Camera (DECam), a 3 square-degree, 570-Megapixel CCD camera that was installed at the prime focus of the Blanco 4-meter telescope at the Cerro Tololo Inter-American Observatory (CTIO). 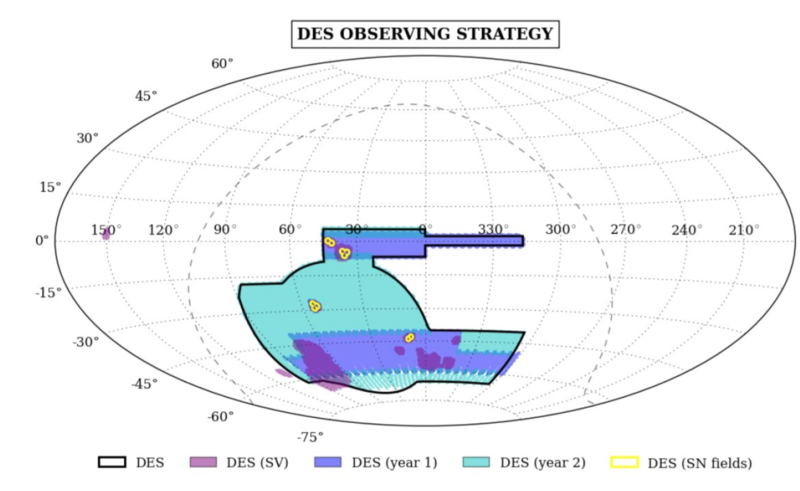 DES has completed its third observing season out of a nominal five. 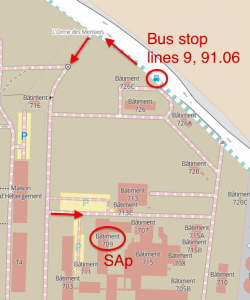 This paper describes DES "Year 1" (Y1) to "Year 3" (Y3), the strategy, an outline of the survey operations procedures, the efficiency of operations and the causes of lost observing time. It provides details about the quality of the first three season's data, and describes how we are adjusting the survey strategy in the face of the El Niño Southern Oscillation.